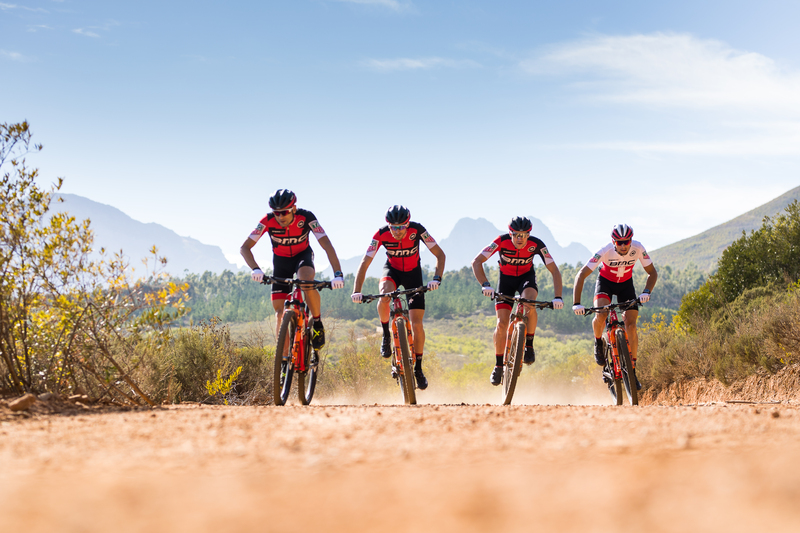 Wahoo Fitness, the leader in connected fitness devices, today announced a new partnership with BMC Mountain Bike Racing team, led by rising talents Titouan Carod of France and Lars Forster of Switzerland. 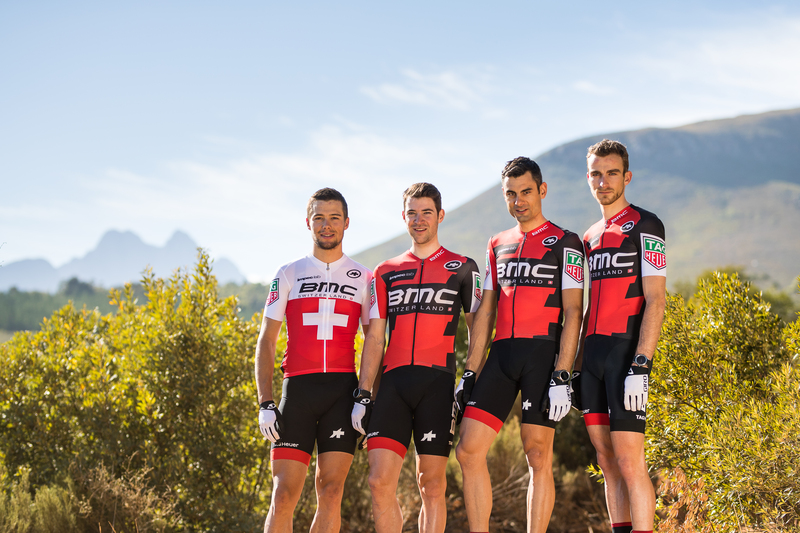 Through the partnership, the BMC Mountain Bike Racing Team will be training and racing with Wahoo’s aerodynamic ELEMNT BOLT GPS cycling computer and the TICKR Heart Rate Monitor throughout the 2018 UCI World Cup race season. 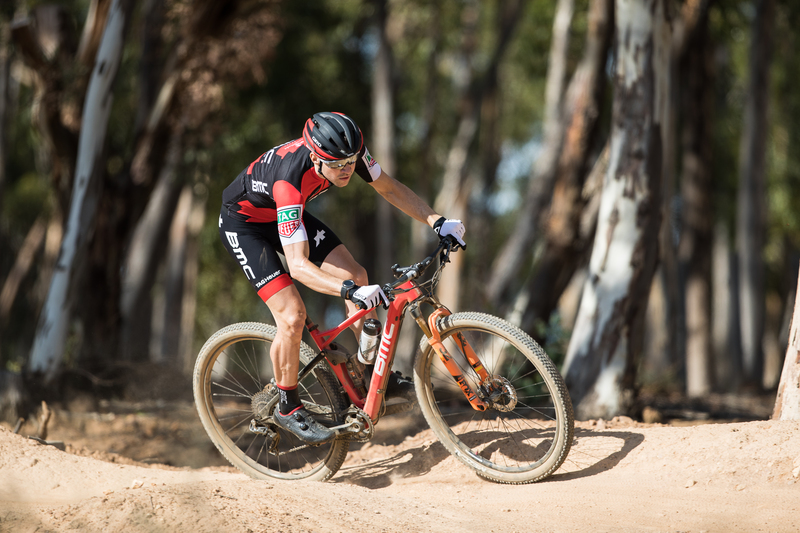 As an official partner of BMC’s elite cross-country mountain bike team, Wahoo will deploy two foundational elements of its product ecosystem into the team’s world cup-winning strategies: the ELEMNT BOLT – the easiest to use and most feature-rich bike computer on the market, and the TICKR Heart Rate Monitor, for measuring critical race-winning efforts. 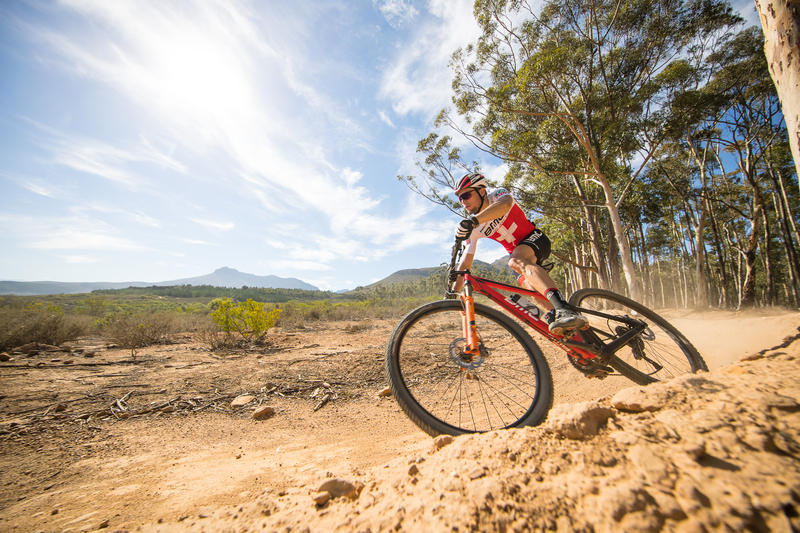 With a strategic roster aiming for Tokyo 2020, the BMC Mountain Bike Racing Team heads into the 2018 World Cup season with five straight overall series victories under its belt – a streak which began in 2013. With Wahoo devices measuring rider efforts in 2018, the team will be looking to secure a sixth overall World Cup title, while adding victories at the National, European and World Championship races. 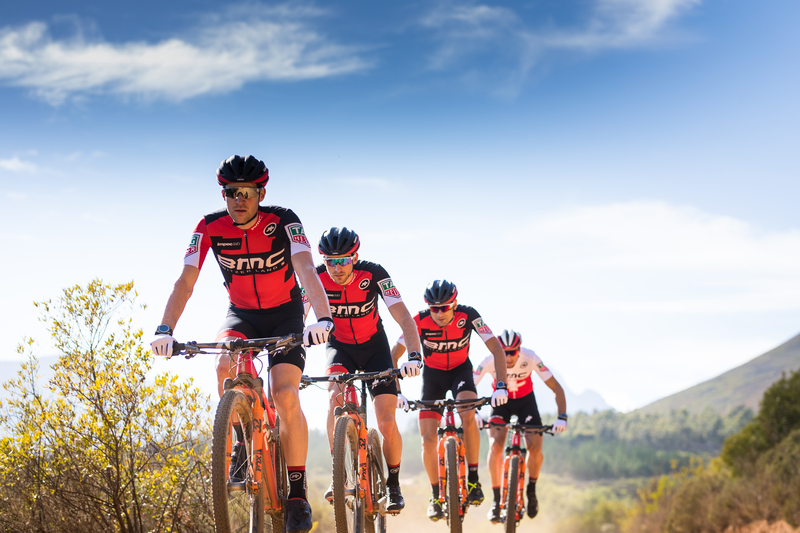 The BMC Mountain Bike Racing team joins pro cycling teams BORA-hansgrohe, Katusha, Team Sky, and JLT-Condor along with professional triathletes Jan Frodeno, Lionel Sanders, and Heather Jackson – all of whom leverage Wahoo’s leading-edge fitness technologies for gains at the highest levels of professional sport. Wahoo Fitness has created a full ecosystem of sensors and devices for the runner, cyclist or general fitness enthusiast. Wahoo Fitness’s award winning line of Bluetooth Smart products include the KICKR and KICKR SNAP indoor bike trainers, the ELEMNT, ELEMNT BOLT, and ELEMNT MINI smart bike computers, the world’s first smartphone connected bike computers, and the TICKR family of chest-based wearables. The TICKR family, composed of the TICKR, TICKR Run and TICKR X, combine heart rate training with advanced motion analytics. Wahoo! Finally, an alternative to Garmin and it’s from the aptly named people at Wahoo – may I introduce you to the Wahoo ELEMNT. Now, I’m not going to do a side by side review, I’m just going to tell you straight what this Wahoo has to offer. It’s up you if you want to go Android over Apple, I’m not here to tell you that you should do this or that, what I am here to tell you is the Wahoo ELEMNT is great. I’m not going to make you read all the way through to find that out, I’m telling you from the off, it’s brilliant. For £249.99 it does go head to head with the Garmin Edge 520 – that’s the only comparison I’m going to make – it’s up to you to make the choice but hopefully you will gain some insight from this post. Let’s talk a little about Wahoo Fitness because you may not know too much about them, it’s a tech-fitness company that has created a whole raft of sensors and devices for runners, cyclists and fitness enthusiasts. Founded in 2010 in Atlanta, Georgia – they’ve gone on rapid growth and over the past three years have supplied Team Sky with their KICKR for warm ups, cool downs and indoor sessions. Not only do they supply Team Sky with the KICKR, Wahoo Fitness also supplies Team Sky with the TICKR (always missing out letters these Americans…) to track the heart rate of the Team Sky riders. So already, in six short years, supplying arguably the strongest team in the Pro Peloton, right now – impressive. So, now we know that Wahoo Fitness come with credentials, what does the ELEMNT come with? Well, opening the box you have three mounts, cable ties, a micro USB charger and of course, the Wahoo ELEMNT it’s self. First impressions are good, it’s not huge, coming in at 105 grams you wonder as to how they’ve managed to put a whole GPS unit, battery which will last for around 7 hours and all the electronics to make the Wahoo tick over. Incidentally Wahoo claim on the box that the ELEMNT has a week worth of battery, surely that depends on how much you ride in a week. On powering up, Wahoo Fitness are obviously very proud of their KICKR as there’s what looks like a team sky rider pedalling away as the ELEMNT ‘warms up’ and searches for any updates. If it’s the first time you’re turning on your ELEMNT and you’re keen to get riding, you need to sync this powerful little tool to your phone first. This is so easy to do, you need the Wahoo ELEMNT free App and to go to ‘Pair Phone’ in the ELEMNT menu. This is easy enough to do in the Wahoo ELEMNT App, you scan the QR on the phone and hey presto, as long as your Bluetooth is on, you’ve got yourself a fully paired phone and sensor. Simples. Functionality and ease to use on the ELEMNT must have been in the mission statement because I have never been able to navigate my way around a device so easily and comfortably. Within seconds, my phone was paired to the ELEMNT and I could of gone off on a ride there and then. However, I wanted to try out the ELEMNTs trump card, the Turn by Turn (Or TBT as Wahoo are calling it, obviously) Navigation. This is the Wahoo Fitness ELEMNT trump card, it offered riders an easy navigational system that can be followed by prompts, while this is only available for rides you have either downloaded or built on RideWithGPS. You can still download routes which you have made on Strava and follow these with the on screen mapping system, it doesn’t give you the same prompts as you get with RideWithGPS, best of all you don’t even need a paid for membership! You can use your free membership, how cool is that? Once you’ve created your route you simply pull it to your ELEMNT, it’s super easy as you can link many different accounts to your ELEMNT; Strava, RideWithGPS, iPhone Health App, even Garmin Connect. The next time you power up your ELEMNT and pair it with your phone, it will automatically update the maps and you can choose them for your next ride! It really is that easy, there’s no plugging in to your laptop / PC it just uses the power of your smart phone. What’s best about the Turn by Turn navigation, even if you’ve turned the wrong way, it can think, it will bring up new prompts to bring you back on to the road you should be on. The prompts appear differently depending on which page you’re on, on the map page they display as a banner mid-way across the screen, whereas on the elevation plot and regular data pages they’ll appear on the bottom. If you go the wrong way, the LED’s across the top of the ELEMNT flash read and you get what can only be described as a whimper, not a BEEP! Which is what it should be. Wahoo have said though that they’re looking at making the audio prompts louder, which they need to be because when you’re on a busy road or chatting with friends as you cycle along, you can’t really hear them. See those LED light’s I just mentioned? Not only do they indicated when you have to turn and if you’re going the right or wrong way, but the ones down the left hand side really help you train. They start playing on you, you can set them to your average speed, average watts or average heart rate and they will tell you how you are performing on that ride. They really make you push your fitness goals and also make you feel really disheartened when you’re climbing a hill and all of a sudden you see your speed dwindling down from a floating 18mph to 7mph in no time at all! These lights also help you train when you have the ELEMNT paired up with the KICKR, I did not have the luxury of having the KICKR for this test though. All signs from other reviews report that it works well though. It’s of course not just about the flashy lights and knowing which way to go. The ELEMNT just seems to be able to have Bluetooth add on after add on, you can link your Heart Rate Monitor to it, your gears – so you can see which gear your in at any one time. Your watt reader or even your KICKR – you can even see the elevation that’s coming up on the routes which you’ve loaded in. That really helps you when you are trying to figure out how much pain you have to shut out up the climbs. It seems to have all the bases covered, if your device is ANT+ or Bluetooth, you’re pretty damn certain that the ELEMNT can connect to it! You will notice in my pictures I have the Backlight on for most of them, this isn’t on because I need it to be on to read the screen. The screen on the ELEMNT is super crisp, so easy to read, at a glance, in direct sunlight, at night – I have never had an issue with the screen. While we’re on the subject of the screen, you’ll notice while you’re riding along with the map page up, people’s names popping up and seeing where they are on the map. These are other Wahoo ELEMNT users, this really helps bring a cycling culture about, you cans see their user name and where they are on the map, if you’re lucky enough it might be one of your friends and you can go join them. If they’re not on an instructed solo from the missus that is! There is a little more to offer, the latest update on the ELEMNT allows you to take full advantage of Strava Live Segments. You do this by simply starring a segment on Strava.com. Then, whenever a starred segment is encountered on a ride, the ELEMNT will then bring up a dedicated Strava Live Segment page showing segment progress, distance remaining, as well as the segment’s full elevation profile. Additionally, the Strava Live Segment page can be customised via the ELEMNT companion app to display other key metrics such as power and heart rate. When riding a Strava Live Segment, the ELEMNT’s LEDs come in to play again, especially for riders searching for that KOM or personal best. The top row of LEDs indicate a rider’s progress within the segment, lighting up sequentially, while the side row of LEDs indicate the whether the rider is over or under the pace for the KOM, their personal best, or the pace of a pre-selected opponent. When a rider enters the final 200m of a segment and is within 2 seconds of their target (KOM, personal best or opponent), a helpful ‘Final Push’ page takes over the display to alert and motivate the rider. Once the segment is completed, a segment history page allows riders to review all Strava Live Segments ridden up to that point in the ride, rather than having to wait until the ride is finished to see how they performed. So, as you have probably now read, Wahoo’s first foray in to the GPS market seems to be a successful one. They have come out with a few new ideas and certainly thrown the gauntlet down to Garmin. There are features on the ELEMNT, which Garmin does not have, such as Bluetooth Smart sensor support or loading of routes from third parties (Strava RideWithGPS, etc.) that could persuade buyers toward the ELEMNT instead. On the other hand, it could be the slightly crisper ELEMNT screen. Who knows. All I know is that the ELEMNT is a very strong riding partner and I was very lucky to have it in my life for a month.